After stealing a machete from a market in Kigali, Munyurangabo and his friend, Sangwa, leave the city on a journey tied to their pasts. Munyurangabo wants justice for his parents who were killed in the genocide, and Sangwa wants to visit the home he deserted years ago. Though they plan to visit Sangwa's home for just a few hours, the boys stay for several days. From two separate tribes, their friendship is tested when Sangwa's wary parents disapprove of Munyurangabo, warning that "Hutus and Tutsis are supposed to be enemies." 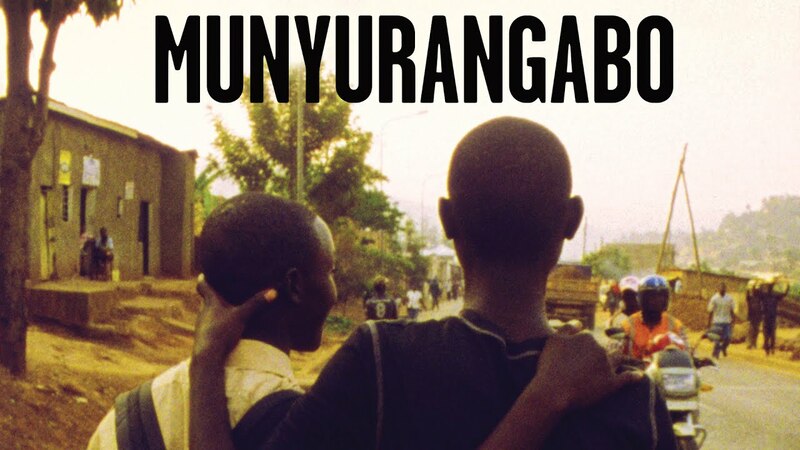 An intense & inspiring portrait of youth in Rwanda, MUNYURANGABO features Poet Laureate Edouard Uwayo delivering a moving poem about his healing country. "One of those miracles that can illuminate the cinema...it is in every frame a beautiful and powerful film -- a masterpiece!" In a tale akin to Romeo and Juliet, the friendship between two children is threatened by their parents' socioeconomic differences. A former swimming champion selfishly puts his welfare above his son during the Chadian revolution, and out of guilt, regrets his decision. From different worlds, Ellie and Thuy form a powerful bond that helps Ellie cope with the hardships of adjusting to her new life in the states.